This BrillKids Little Reader review is to share with you, my experience of using this program with my son when he was a baby. Price: Free trial. Basic package is USD199. Deluxe package is USD250. You’re likely directed to your local distributor’s website (if available in your country) and the prices reflected would be in your local currency. The downloadable version might not be available in your country. A learning system that teaches babies and toddlers to read. It claims to be the most effective system in teaching a baby to read. The core of the program lies in its revolutionary software program, making use of computer and Internet technology. The system will guide your baby over the course of one year from reading single words to complete stories. It uses two methods, the flash method and the multisensory method in teaching. Flash method is where words or pictures are flashed quickly to the child, and absorbed by the child. Multisensory method is where words, pictures and videos are shown to your child, letting hearing, visual, and touch (for example, when the word Hug is shown, you can hug you child) be involved. In the one year curriculum, your child will be introduced to 3,000 words in 180 categories, and enjoys 3,000 pictures, 6,000 sound files and 460 videos. Their Pattern Phonics system is designed to help a child understand the rules of phonics intuitively. The learning system is designed for babies aged 3 months onwards. Parents will be sitting the child in front of the computer screen where daily lessons will be played out. Each lesson is usually less than 5 minutes. Parents will have to click on the mouse to move along the lesson. Parents are encouraged to play each lesson twice a day, and carry out the daily lessons from Mondays to Fridays. Hassle-free for parents. Just press the Play button to start the lesson for the child. eLearning, a form of learning where many kids will be getting accustomed to with the popularity of electronic devices these days. No advance preparation of lessons needed. Many testimonials from parents who share that their babies learned to read with this system. Ability to personalize and customize the content. Such as for the Family category, you can add personal pictures of mommy and daddy. For example, when it comes to nose, you can add personal pictures of the child’s nose, mommy’s nose, daddy’s nose. These features will make the teaching more personal and meaningful. After the one year content, you can also visit the BrillKids forum to download more content files. World’s largest online early learning community with over 50,000 members. Must use a PC to play out the lessons. Child is taught to read using the whole word method in the beginning. Learning by the whole word method is like having the child recognizing and memorizing hundreds or thousands of word shapes. Implicit phonics is later introduced from lesson 21 onwards. The child is expected to pick up phonics intuitively. Phonics is not explicitly taught in this program. Explicit phonics or synthetics phonics has been proven by research studies to be the most effective method in teaching reading. I first encountered the BrillKids advertisement while reading through one of the complimentary magazines included in the complimentary diaper bag, given by the hospital when I delivered my baby. That was the first time I came across information about teaching babies to read. Back then I thought, “Wow! You mean babies can learn to read?” How fascinating! I was impressed, and I filed this piece of information for future use. Encountering the BrillKids advertisement planted the thought in me that I would someday teach my baby to read. How exciting! When my son Kaden turned 7 months old, I remember the BrillKids ad and went online to research more about BrillKids Little Reader. Impressed by what I read and saw, I bought the Basic version. After some discounts, I paid nearly USD170 for a year’s worth of lessons. I bought the downloadable version which might or might not be available in your country. This way I could save on shipping fees. When Kaden was 9 months old, I started him on the Little Reader learning system. As it’s been nearly 2 years ago, I always thought I sat Kaden consistently through the lessons for a few weeks and stopped. I was mistaken. I actually went through 130 days of lessons (Semester 1) with him! That equated to over 4 months of daily sitting him in front of the computer screen, Mondays to Fridays, twice a day! And yet, to my disappointment, I didn’t get any signs that Kaden was learning to read. He wasn’t speaking at that time, and he wasn’t pointing anywhere when asked about words taught in the lessons to indicate his understanding. Due to his seemingly lack of progress, I decided to stop his lessons. I thought he was too young and wasn’t ready. I thought I would start him again on the Little Reader lessons when he was older. Well, I never did. 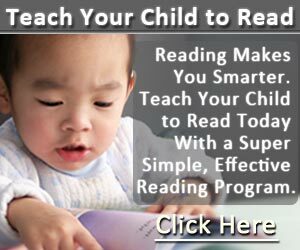 Instead when my toddler was 17 months old, I came across another much cheaper and phonics-based reading program that is designed to teach young kids 2-7 years old to read. I bought this and used it to teach my son to read since he was 2 years and 3 months old. It’s such a waste to have an expensive program sitting on my computer. As I was writing this review, I opened up the Little Reader to refresh my memory of it and Kaden happened to see it. Now that he’s much older, two months away from turning 3, and has progressed along very well with the other reading program, he seems quite interested in the Little Reader lessons. Maybe when he completes his current reading program (8 more lessons to go), I might one day let him go through the Little Reader semester 2 lessons, which is still untouched till now! With him being so keen on watching videos, he might enjoy these lessons. Maybe he’ll learn to something new too. Want to see the program I used to teach my own son to read successfully as a toddler? Click here!